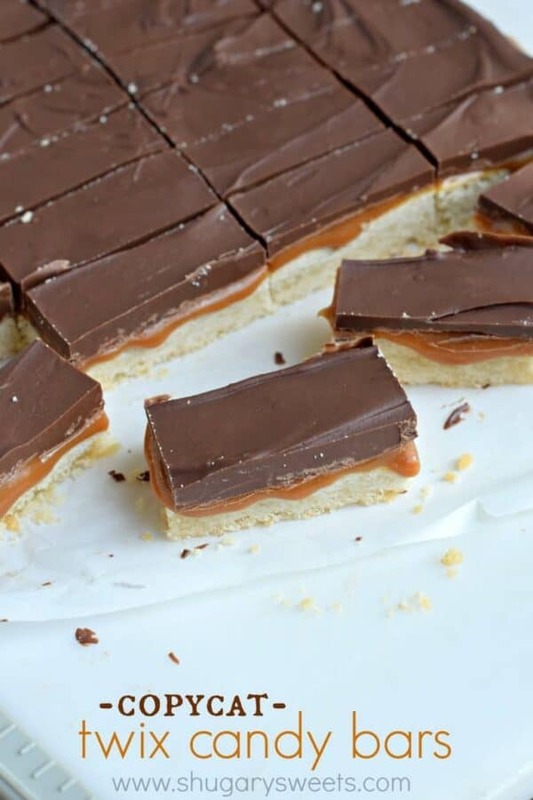 This Homemade Twix Bars recipe brings your favorite candy bar home to your kitchen. 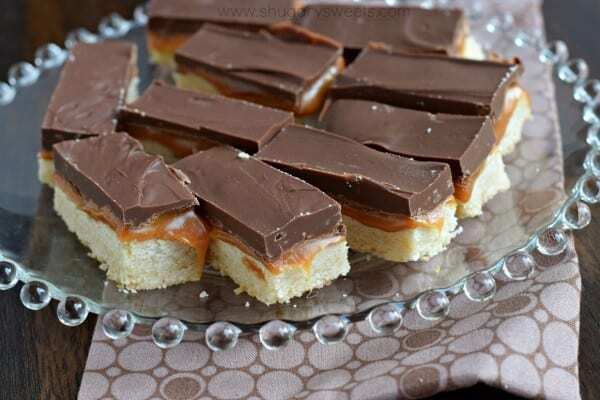 A buttery shortbread cookie base with caramel and chocolate, better than the original! Grocery stores are an evil place to visit when you’re hungry. From the scent of bread baking in the bakery to the rows of convenience food, it’s never a good idea to grocery shop on an empty stomach. But, even knowing this, nine out of ten times I wander into the grocery store hungry. And then I wander out with ten times the amount of food I went in for! It’s ridiculous really, and it’s my own fault. I have no one to blame but myself. My husband and I always joke because I’ll come home with hundreds of dollars worth of groceries, and yet we still tend to order out on shopping days. It’s like buying all the food is exhausting enough, who want to cook it too? Back to the shopping though, I will say those tricky managers know what they are doing when they put those candy bars in the checkout aisle. Just when you make it around the store, maybe you did REALLY well avoiding any kind of cravings, when BOOM. There are all your favorite candies begging to be purchased. 10 for $5 is the sleaziest trick in the book too! I hate you, and your stupid deals, Mr. Grocery Man. You make me fall prey to your dumb trap! There are two candies that call my name. Twix Bars and Skittles. Depending on my mood, I either reach for the chocolate or the fruity! Who can resist that gooey caramel bar? Earlier this year I made some delicious Twix Cookies. They are always a hit at bake sales and family parties! So I knew making my favorite Homemade Twix Bars would be easy! And sure enough, these bars were a hit too! As a food enthusiast, I find it my job to re-create some of my favorite treats. You may remember these Pay Day Truffles!? So delicious! Start by making your shortbread cookie dough base. In a large mixing bowl, beat butter and powdered sugar for several minutes until well blended. Add in flour, salt, and vanilla. Beat for 2-3 minutes until dough starts to form a ball. 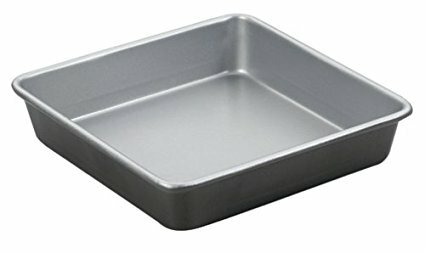 Press dough into a 9-inch-square baking dish lined with parchment paper. Bake for 21-25 minutes in a 350 degree F oven, until edges become lightly browned. Remove and cool completely. While shortbread base is cooling, add caramel bits and whipping cream to a microwave-safe bowl. Microwave for 1 minute, stir and heat again for an additional 15-30 seconds. Stir until smooth. Pour over cooled (or mostly cooled) shortbread. Spread evenly. Melt chocolate in a microwave safe bowl for one minute. Stir and heat an additional 30 seconds. Frost the top of the caramel and allow to set (about 30 minutes). Cut into bars and enjoy. I know it’s a savory dish, but this Copycat Panera Broccoli Cheese Soup is spot on! My family LOVES this recipe! Ever pick up one of those Salted Nut Rolls from the grocery store? So delicious, I had to make my own recipe! If you’re a fan of Andes Mints, this copycat version from Big Bear’s Wife is going to be your new favorite recipe. Quick, easy and quite possibly better than the store-bought version! Homemade Twix Bars bring the candy bar home to your kitchen. A buttery shortbread cookie base with caramel and chocolate, better than the original! In a large mixing bowl, beat butter and powdered sugar for several minutes until well blended. Add in flour, salt, and vanilla. Beat for 2-3 minutes until dough starts to form a ball. 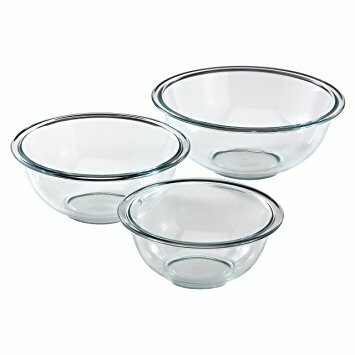 Press dough into a 9-inch-square baking dish lined with parchment paper. Bake for 21-25 minutes, until edges become lightly browned. Remove and cool completely. Melt chocolate in a microwave safe bowl for one minute. Stir and heat an additional 30 seconds. Frost the top of the caramel and allow to set (about 30 minutes). Cut into bars and enjoy. It may be easier to refrigerate the bars and cut while slightly firm. 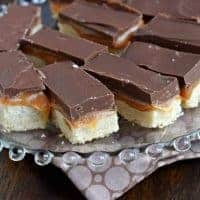 *Today’s recipe for Homemade Twix Bars was originally published on Shugary Sweets on November 16, 2015 and has been republished in June 2018. I love Twix bars with a huge passion, so these look so perfect! When it comes to desserts, I actually think I have pretty good self-control. Unless it’s 1) Kit Kats or 2) Twix. You are killing me here! I cannot wait to try these. Maybe this is why corsets are making such a huge comeback. It’s true. Just read it in the paper yesterday. 4 inches off my waist. Yes please. I could eat this whole batch. I keep raiding my kids Halloween bags for Twix. I, too, am guilty of shopping on an empty stomach. It happens ALL THE TIME. I’m a sucker for the buffalo wings and the prepared, bake it at home pizzas the store carries. It’s always just so easy to buy the prepared, super savory foods and just pig out after an arduous shopping trip 🙂 BTW, Love these bars! 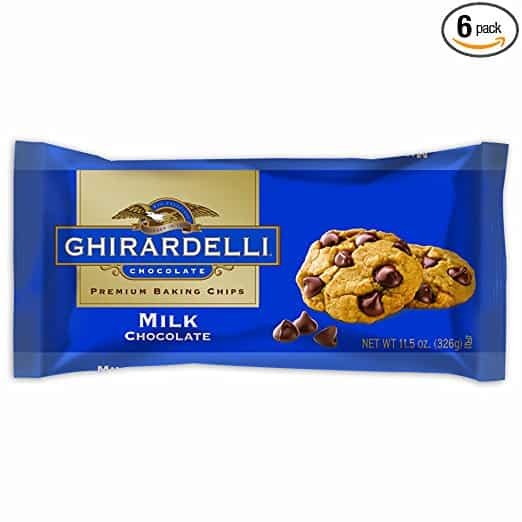 One of our all time favorite candy bars! Now I need to make them at home! Ooh these look so acrummy. I live Twix bars but everything tastes better homemade. Will make these over Christmas but will have to have a practice run first ???? Sammie. Can not wait to try these. 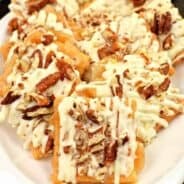 I will be making them after trying the Saltine Toffee recipe, thanks! Those candy bars, magazine, and specials at the front of the store always get me. And I always come out with too many extras in my cart, even if I’m not hungry. 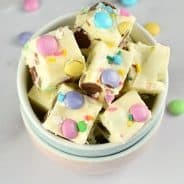 Love these fun little homemade bars!!! 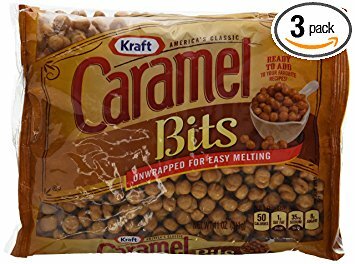 That gooey caramel is my favorite! These look better than the original! I tried these last night. I doubled the recipe and spread them in a full sized cookie sheet. My only complaint is that the crust layer seems way too flaky and either breaks apart or completely separates from the other two layers. What can I do to fix that? Otherwise, delish!! THANKS!! These were perfect! I live on the edge of the Amazon rainforest and had a group of Americans over for Thanksgiving. I decided to try this recipe for a dessert since all of us miss decadent American candy bars. Everyone loved them. That must mean you like them! 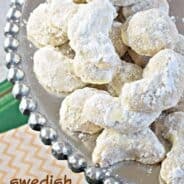 Not everyone has tried them, or has a recipe, so I’m just helping out here! Sounds like something everyone would like! Thanks so much for posting Aimee!! These look amazing! I read a quote once that said only eat junk food that you’ve made yourself. I don’t think that person knew quite the amount of junk food I was capable of making 🙂 Thanks for adding another treat to the list! I love anything with caramel so Twix is right up there for sure on my list! I find if I don’t shop when I’m hungry, nothing looks good and I come home with things like gallon jugs of white vinegar and the super size packages of toilet paper or paper towel! All handy but not quite food items either! I used to love Skittles as well but have to admit, I kind of got over that one with the “Skittles Pox” commercial. Disgusting! That commercial ruined me on the candy and they never seem to stop playing it! Meanwhile, I get my fix on Starburst instead. I don’t remember that commercial, LOL!!! 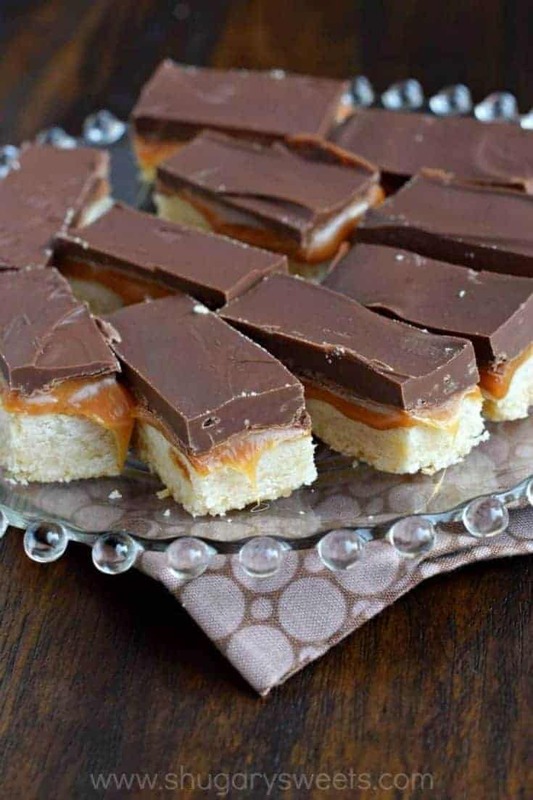 Making homemade twix bars is such an awesome idea! They look so yummy! Hi I was wondering if I could use almond flour instead? Or will it make it more crumbly And not a cookie texture? Thank you!